The Nile was of great importance to the Egyptians. It flooded the fields, leaving behind fertile silt, making agriculture flourish. But it was also the main transportation and communication route. 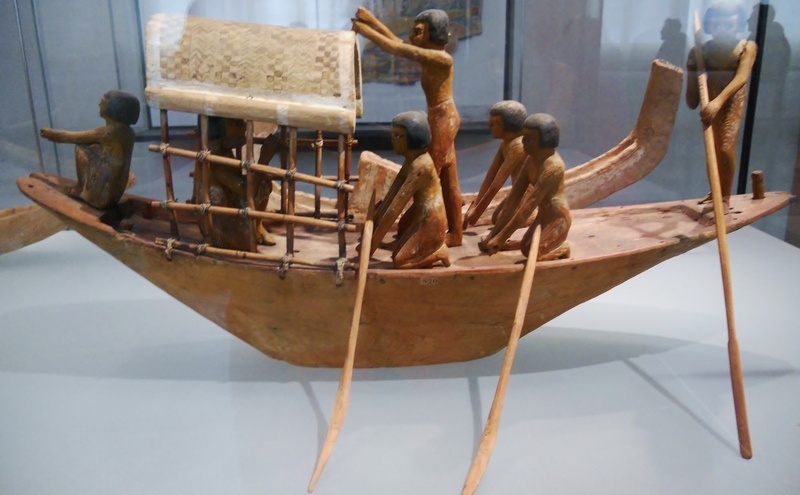 This wonderfully preserved model boat was quite impressive to see, the delicate ties and trellis survived over two millennia. Another aspect of the Nile river was the wealth of fish it offered. 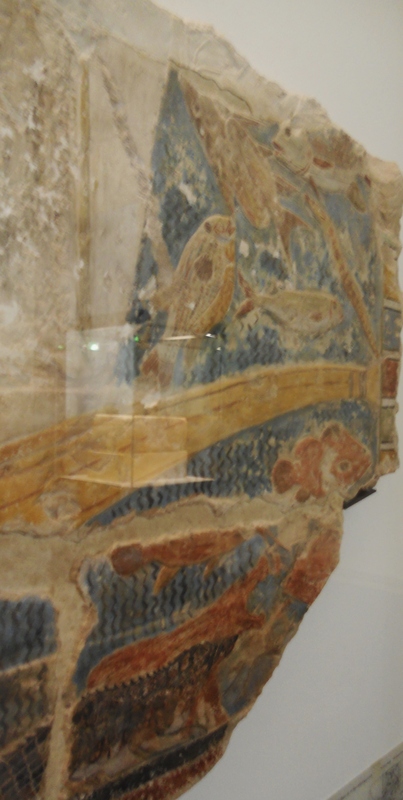 In the left picture, we see a bas-releif of an Egyptian casting the nets. We can also see an ancient net. 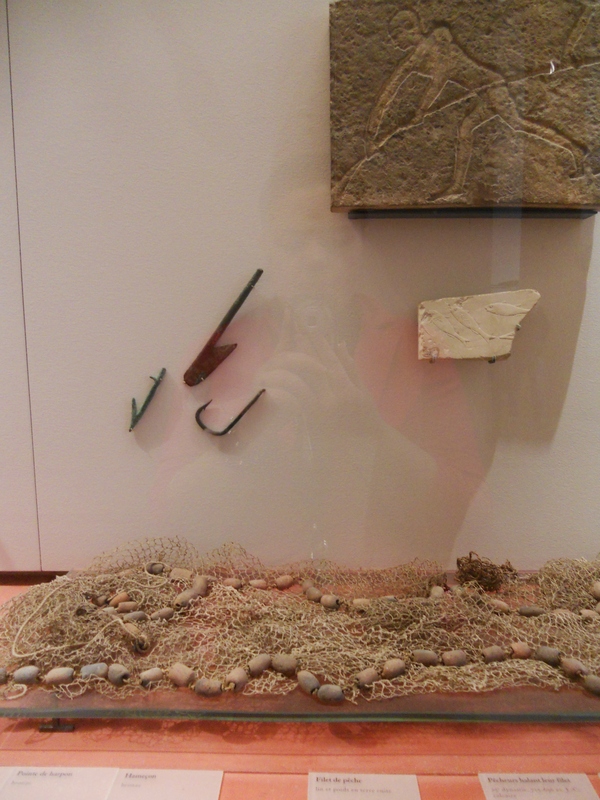 It is not a reconstructed piece, but an actual 3,000 net and hooks found in a tomb. The fact that something so fragile survived truly impressed me. Here, on the right, is a splendid painted bas-releif. It’s a little tricky to see, especially with the reflection of the glass. But here is a scene with a plethora of fish and aquatic animals in the process of being fished. The colors made this piece quite interesting, despite the damage. This entry was posted in Daily Loaf, Sprinkles and Frosting, The Everything Bagel, Trail of Bread Crumbs and tagged ancient egypt, art, art hirstory, egypt, fishing, louvre, model boat, museum, nets, nile, photos by acc1313. Bookmark the permalink.